Anonytun Free browsing on 9mobile stopped working about a day or two ago but this latest Chatpak cheat is affordable for browsing and downloads as it offers at least 2GB of data for just 600 Naira monthly (150 for 500MB per week). Glo free browsing cheat is available and requires subscription to Facebook flex to get internet connectivity. 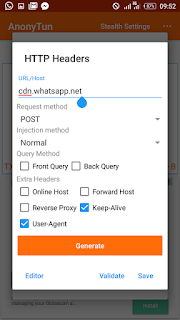 9Mobile Chatpak is a social bundle from Smartpak data bundle plan which works only on social media, but can power all apps on your android mobile phone by setting up Anonytun VPN apk app. SocialPak - brows social sites like Facebook, Twitter, Instagram etc. 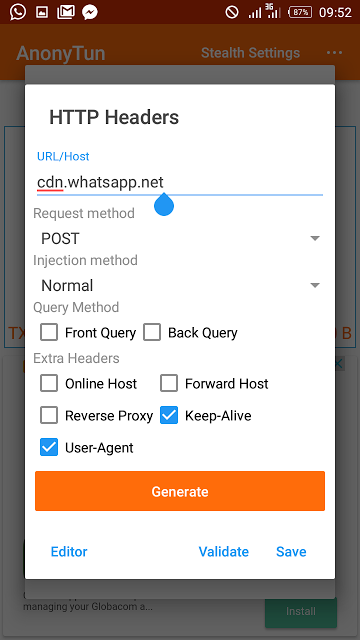 ChatPak works on all devices - android, iPhone, blackberry and windows, but to use it to powers all apps, you need an application that is only availability in android version, hence this cheat is only for android users. I always advice cheat lovers to get android device because most free browsing cheat are only available for android users. 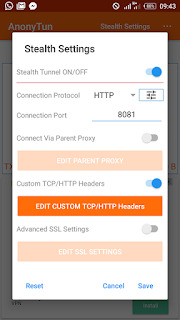 What is Needed For Mobile ChatPak Anonytun Cheat? Wait a few seconds for the Anonytun VPN app to connect afterwards you can minimize the app and enjoy. How Many MB does Chatpak gives? 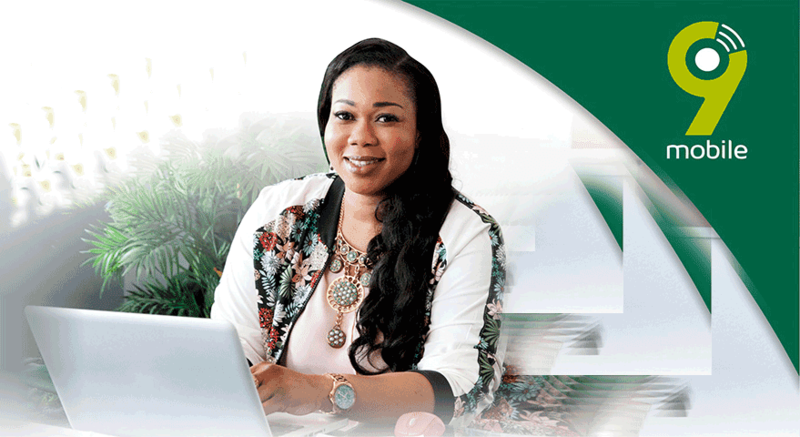 9Mobile ChatPak is capped at 500MB, it is no unlimited and has a validity period of 7days. So how you consume the 500MB depends how long you chatpak data will last. It may be more then 500MB if you atr lucky. Enjoy this 9Mobile affordable browsing cheat with anonytun while it lasts, because no one knows when it will be blocked as we saw glo 0.0k cheat and 9mobile 60mb cheat blocked few days ago. This nice, and hope it could stand the test of time? Is there a nairabit whatsapp group? is it still working please.